Designed by Terzani Lab - Terzani continues to reinvent the classics. With Soscic, that combines traditional, artisan techniques with cutting-edge technology to give the traditional chandelier a modern update. Created by interlacing metal chain over a nickel-plated frame, Sock creates a dramatic and romantic effect, while still being able to compliment today’s modern luxury. 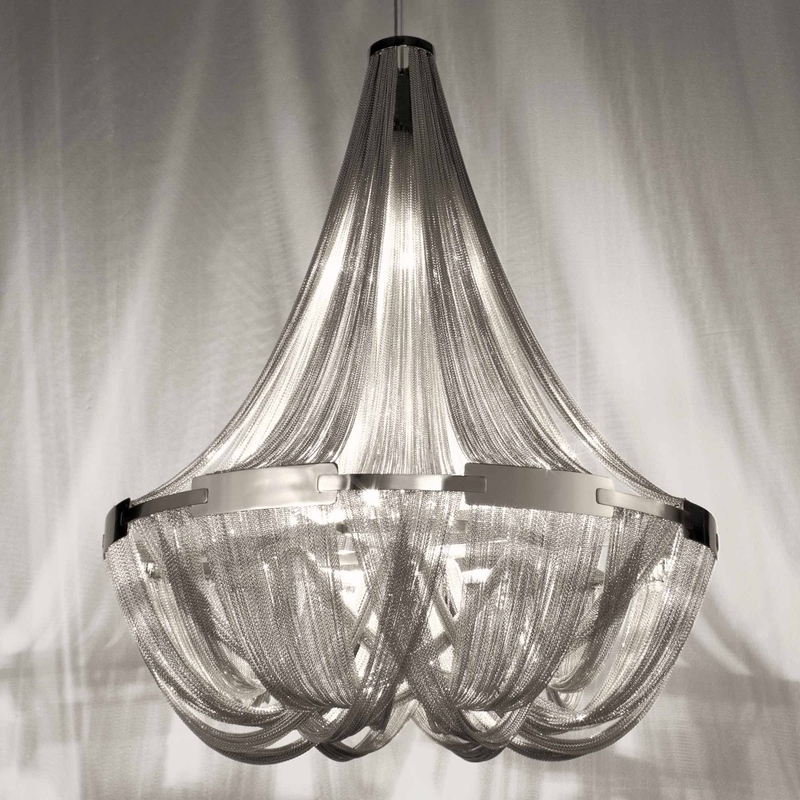 Available as a chandelier or a ceiling lamp, Soscik proves that modern design does not have to sacrifice luxury.